Beautiful casement doors designed to add elegance. 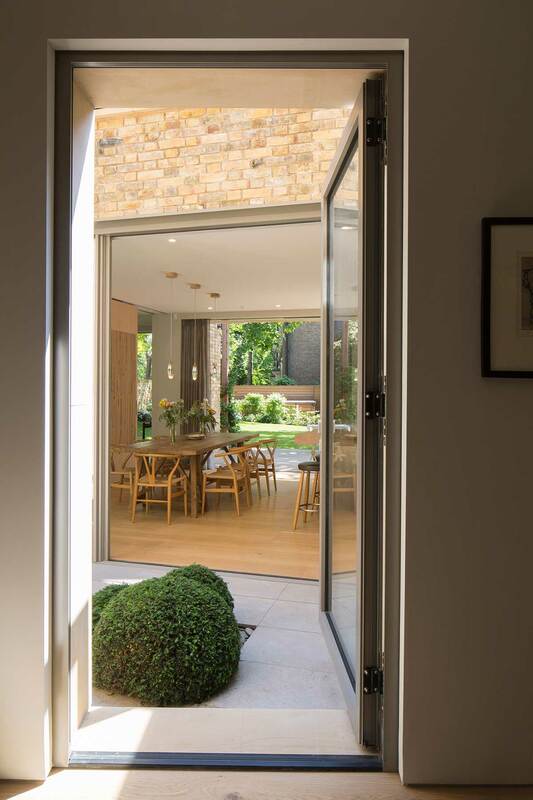 Our high quality, precision-engineered aluminium casement doors offer you all the security and convenience of a solid door, while giving your project an enhanced feeling of space and light. One of our many priorities with our architectural glass is the security measures put into place. We want all our customers to feel safe and secure, whether that be at home or work. Our casement doors are the ideal solution for stunning designs mixed with unrivalled security. Due to the premium grade aluminium we use, these installations are incredibly robust. They can provide slim sightlines without compromising on the structural integrity of the door. Not only this, these installations boast an excellent range of security features. With internal beading and multi-point locking mechanisms, our casement doors will keep you safe and protected from potential intruders. For more information on the security features of our doors, get in touch with Finepoint Glass today. 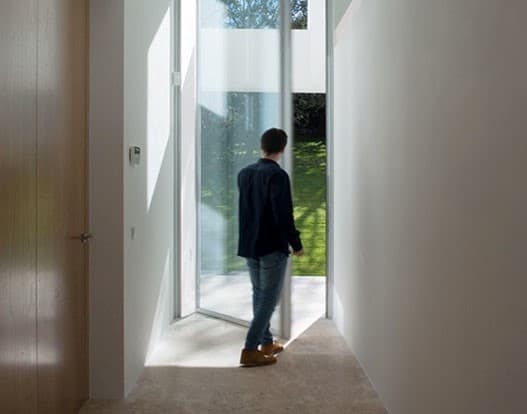 A common worry with any architectural glass installations is that it will compromise the thermal efficiency of your home. With Finepoint Glass, you will be opting for incredible thermal performance that will keep your home warm during those winter months. Not only this, our aluminium casement doors will work to keep the hot summer heat out of your structure. This is achieved through a thermally broken frame that traps heat and stops it from escaping through the glass. With exceptional thermal performance, comes lower energy bills. Finepoint Glass can help you save money on your energy bills and help you to reduce your carbon footprint. Our installations will help make everyone’s impact on the world a positive one. We as a company believe that our customers should have the final say on the design aspects of their casement doors. That is why we offer a range of materials that boast different benefits. Anodised aluminium is ideal for all home improvement projects. This is because the surface is converted into a decorative finish. This boasts a long lifespan and an installation that is resistant to corrosion making it the perfect choice for both coastal and further in-land projects. This material is also ideal for colour customisations for your casement door. This material is perfect for projects that are regularly exposed to a coastal environment. With this material, you can have peace of mind knowing that our casement doors will withstand anything mother nature can throw at it. Marine Grade Powder is a powder finish that features a minimum of 40 microns, designed to withstand any damage. It will not be damaged when exposed to a corrosive coastal environment. This material is designed to reduce the need for painting and colouring steel. Cor-Ten is ideal for creating a weathered look that stands firm against most weather types. Not only this, but it is anti-corrosive as well. Rusted looking doors that are high performing and high-quality and is sure to last for many years to come. Selecting a colour to frame one of our casement doors is the perfect way to personalise your design. Choosing from our wide range of colour options can give your project the personal edge that you were looking for. You can browse our colour options by looking through our portfolio. We will work closely with you, advising you. However, the final decision is yours to make. Fully customise your new casement doors when choosing Finepoint Glass today. 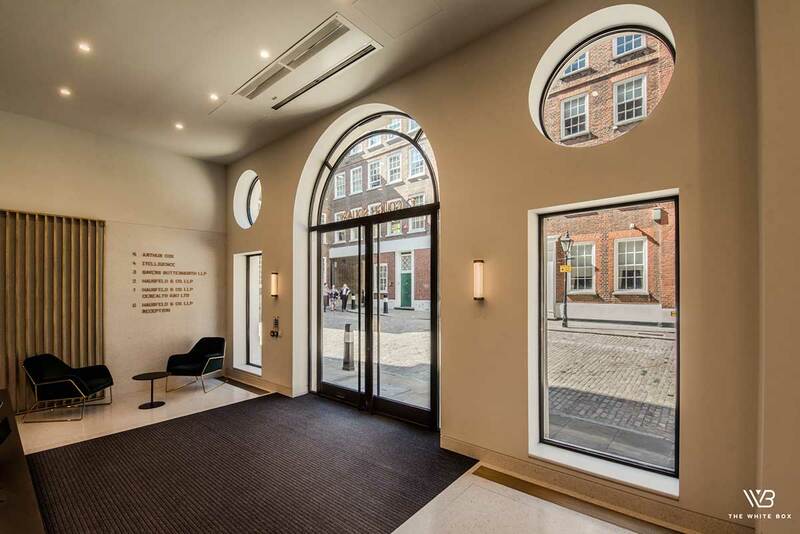 Finepoint glass install casement doors and other architectural glass throughout London and other UK cities for both residential and commercial improvement projects. We are skilled glass manufacturers and aluminium fabricators. We specialise in creating bespoke glass designs for both commercial and residential projects. If you would like more information about our products and services throughout London and the UK, please fill out our online contact form. Here one of our helpful and friendly expert team members will contact you as quickly as possible. We will be happy to answer any questions you may have about our architectural glass and our casement doors. You could also make an appointment to come and see us in person to discuss your project ideas. We offer competitive prices on all our products as we believe that people should have the home improvement projects of their dreams today.